There are two kinds of happiness: self-referral & object-referral. When our sole source of happiness involves our dependency on "objects" (that is, "non-self"; for example, "a loveable other" behaving ideally for us) then that is object-referral happiness. Our happiness becomes dependent on another person behaving according to rather strict relating guidelines. The guidelines are designed to achieve zero deviation from the behavioural formula that has manifested some degree of happiness for us. We do not want change, because change threatens our access to happiness. 2) it is an unsustainable living technique to source our personal inner experience in another, to make them responsible for what we are experiencing. Attempts to do this will turn one into a control fanatic, attracting destruction to that method of relating. The behaviour of another is neither the source of one’s happiness nor the source of one’s suffering. “Others" are not responsible for our internal experience. Self-referral happiness is the true fulfilment that comes from the mind incorporating the inner bliss of Being into our conscious daily experience. Self-referral happiness allows us to have adaptive responses to demands (changes of expectation) and find within ourselves solutions to life's challenges. “A strong mind is tolerant; a weak mind is easily overcome by the surroundings. If one doubts another's behaviour, one will continue to have doubts even if he expresses love & joy when one meets him, because the doubts were present before the conversation started. So a doubting or unkind mind fails to enjoy even the joyfulness and sincerity of the prevailing surroundings. To improve relationships we must first improve our own minds and then we shall begin to behave well. Surroundings respond to us best if we are grounded in the art of Being, which is the technique that places our lives on a high level so that we naturally and innocently behave well in harmony and joyfulness. 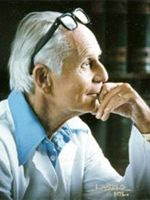 Endocrinologist, Hans Selye (1907-1982) introduced the "general adaptation syndrome" model showing the effects of stress on the human body. In his work, Selye - 'the father of stress research', developed the theory that stress is a major cause of disease because chronic stress causes long-term chemical changes. Pressures, tensions, and other stressors can greatly influence normal metabolism. Selye observed that if the body didn't have sufficient adaptation energy, the body would respond to any external source of stress with a predictable biological pattern - this hormonal reaction is the fight or flight stress response. He determined that there is a limited supply of adaptive energy to deal with stress. That amount declines with continuous exposure. Thankfully, our meditation technique is a systematic way of eliminating the scars of stress from the body and at the same time topping up our adaptation energy so that more and more we have adaptive responses to demands rather than stress responses. What we know from science is that our central nervous system acquires deeper rest from meditation than it does while sleeping - which, over time, makes us impervious to the debilitating effects of stress. The relatively small amount of time we invest in meditation will continue to pay off over and over in every area of life, forever. Deep rest is the basis for all dynamic action. If being confident, secure, fun, and adaptable were drops of water, meditation would be our ocean. "Meditation in the am and the pm." "Water the root to enjoy the fruit." "20 minutes in the bank, all day in the market place."